We are engaged in providing a comprehensive range of Cables and Converters which is procured from the trusted vendors. These product-line is widely appreciated for its efficiency in performance, easy installation, low maintenance and dimensional accuracy. Our products are availed at market leading prices and are manufactured as per the international standards. 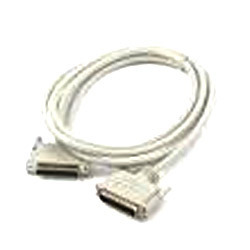 We are engaged in providing a USB MiniB Cable having a USB type A to mini B 5-pin. It is a very common A to mini-B type connector which is commonly found with USB Hubs, Cameras, MP3 players, etc. these are provided in both White and Black colors which may vary as per the rotation of the stock. Higher Speed Requirements Of USB 2.0alpina.org. 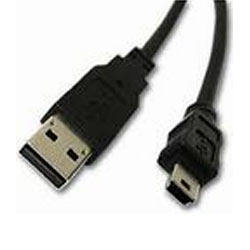 We are one of the leading providers of USB Cable A to B having a Standard of USB 2.0 cables. The USB cable provided by our organization is the most commonly used A to B Male/Male type peripheral cable which can be provided in both White or Black color and may vary as our stock rotates. 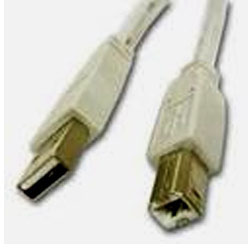 We are the pioneered suppliers and traders of Parallel Port Cable M/F extension cable. 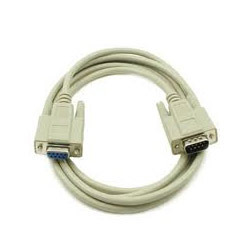 This cable is used to interface any computer with a standard Parallel (Printer) port with any of our boards or programmers. CNCT INC has Parallel Cables in both Pre-Assembled and Custom Assembled lengths of up to 30m. We are engaged in supplying and trading a Serial Cable M/F which can be connected to any development board. These can be used to interface any of the computers with a standardized Serial port RS232 for any of the clients boards. The color and shape of the cable may vary as the stock rotates. This is a simple to use USB to Serial Converter. It outputs RS232 level signals on the TX and the RX line. Unlike the cheap converters available in the market, which rarely work, if at all, this converter is highly reliable and can be used on all major operating systems, computers and laptops. This converter is USB powered and needs no external power. It can provide the USB port's 5V power supply to an external circuit.You can also get TTL level RX and TX signals from the header pins on the board. The board has standard 3 mm mounting holes for easy mounting. When connected to USB port this converter sets up a virtual serial port which can be used and interfaced just like any normal serial port. You can use this board with all our development boards to do serial communication through USB. You can also program our development boards, which support serial bootloading, through USB using this converter. 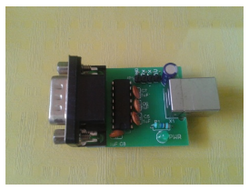 This USB to Serial converter uses the popular CP2102 IC from Silicon Labs for the USB conversion. This board can be used on all major operating systems.